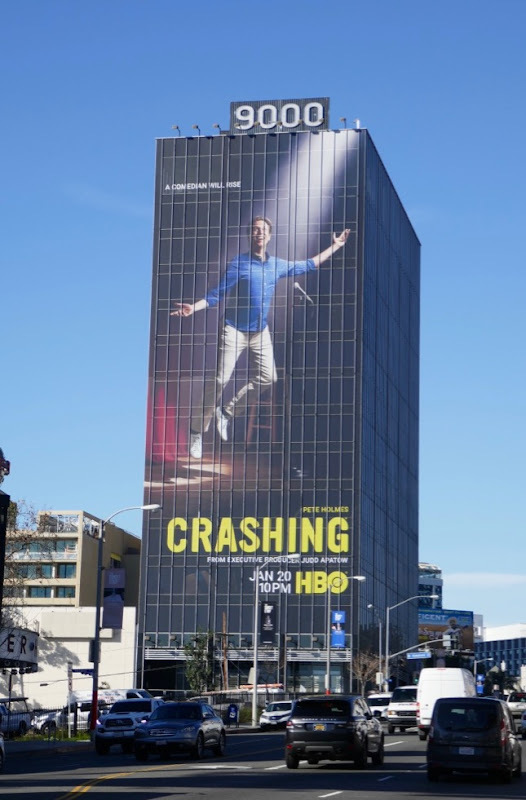 This January HBO's semi-autobiographical comedy based on the life of stand-up comedian Pete Holmes is back in a big way. 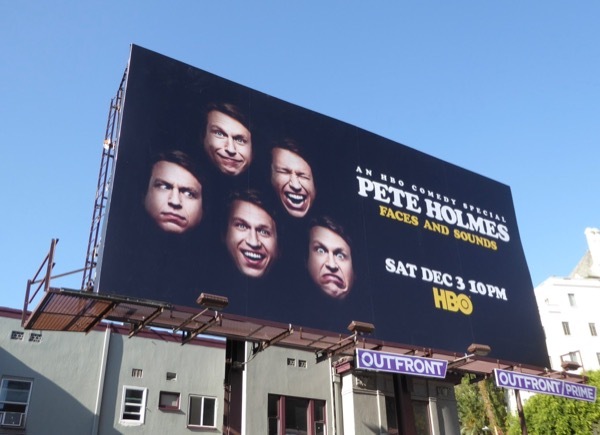 Now in its third season, it looks like Pete's career on the New York stand-up circuit is beginning to take off and he's come a long way from splitting up with his cheating wife and sleeping on friend's sofas. 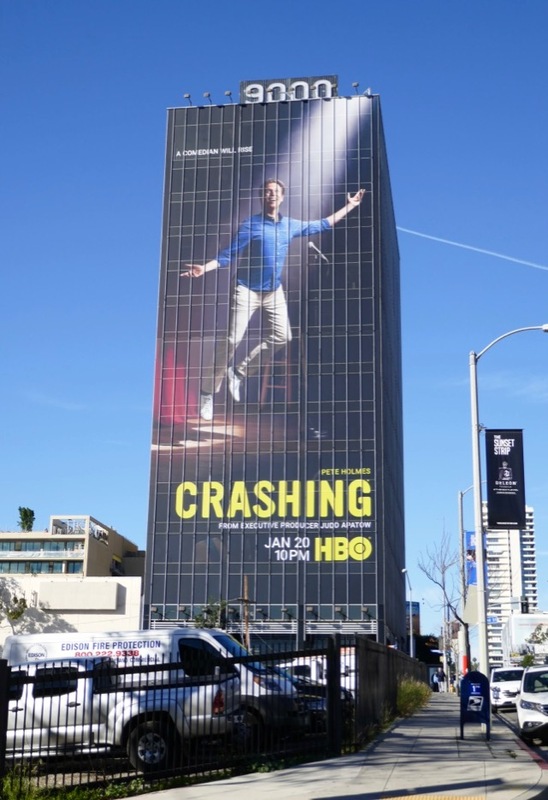 The super-sized season three billboard was photographed towering over the westbound Sunset Strip on January 9, 2019. 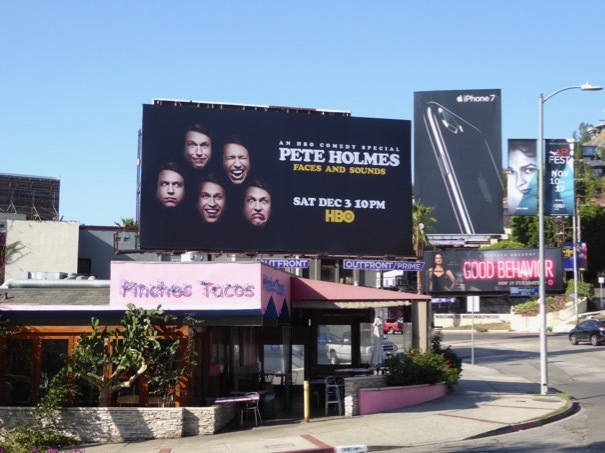 Meanwhile as a special bonus here's Pete Holmes HBO comedy special billboard, Faces and Sounds, from November 17, 2016, further east along the Sunset Strip. 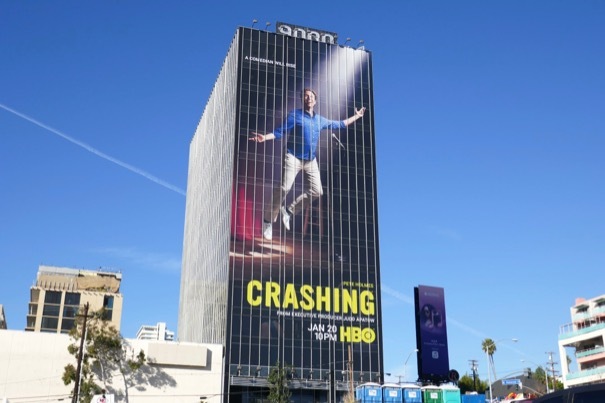 Fans of the show can also check out these season one and two billboards for Crashing filling the city skyline in recent years. 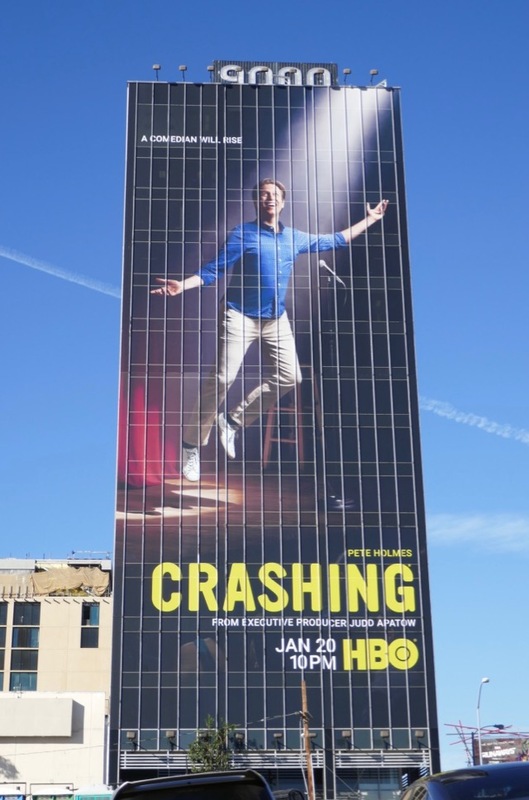 Let's see how life in the spotlight treats Pete this season.